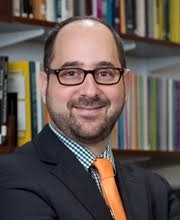 Today we have the first in a six-part series of guest posts by Tomer Perry, Research Associate at the Edmond J. Safra Center for Ethics, Harvard University. He can be contacted at tperry [at] ethics [dot] harvard [dot] edu. One of the projects I’m working on at the Edmond J. Safra Center for Ethics focuses on effective pedagogies for teaching ethics. Simulations, of the kind that readers of this blog are familiar with, are one way of engaging students by grounding abstract ethical theories in particular situations. Recently, I’ve reframed the project more generally: using game design principles to create fun and effective learning experiences. Two books on game design that I can recommend for teachers are Josh Lerner’s Making Democracy Fun and James Paul Gee’s What Video Games Have To Teach Us About Learning and Literacy. Lerner argues that game design principles can be used to redesign political institutions and reinvigorate democracy, but his review of game design theory is useful for anyone interesting in implementing game design ideas in different contexts, and I use his taxonomy of game mechanics as a starting point. Like most game design theorists, Gee and Lerner focus primarily on video games, while tabletop games can be more helpful for the classroom. These board, card and role-playing games have been enjoying a golden-age in recent years. Designers are experimenting with fresh ideas that appeal to a broader audience, which means that video game designers now have a lot to learn from board and card games. More importantly, board and card games resemble the experiences we already typically have in class. They are basically activities designed for small groups – though there are some great games for bigger crowds – and to prototype a board or card game, you don’t need programming or advanced mathematics knowledge. These aspects make it easier to design tabletop games for classroom use. The rest of the series discusses specific game mechanics and game design principles and the way tabletop designers have been using them. Whenever possible, I give examples of the way these could be used in the classroom but I would love to hear more ideas about the applicability of the ideas. I ask only that you keep an open mind as we explore this little-explored territory.